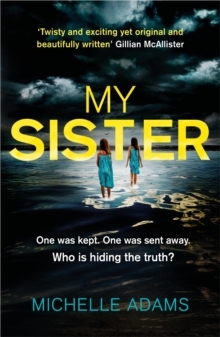 'SO fantastic; twisty and exciting yet original and beautifully written' - Gillian McAllister, Anything You Do Say'Kept me gripped to the stunning finale' - Amanda Reynolds, Close to Me'I loved this dark and disturbing thriller' - C.
J. Tudor, The Chalk ManOne was kept. One was sent away. 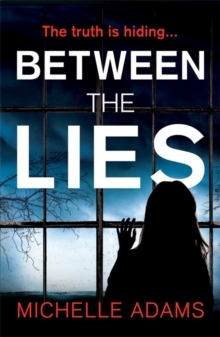 Who is hiding the truth?An addictive psychological thriller perfect for fans of Laura Marshall's FRIEND REQUEST and Jenny Blackhurt's THE FOSTER CHILD. My name is Irini. Our parents sent me away. My sister is Elle. They kept her. Families should stay together. What happened that day ripped mine apart. A successful doctor, with a loving boyfriend, Irini Harringford is finally happy. But when Elle tracks her down everything starts to unravel. 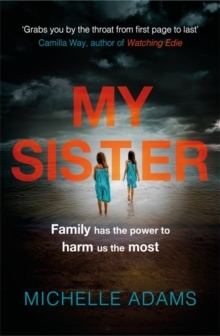 Irini knows only too well what her sister is capable of. However, her desperate need for answers drags her back to a shocking past. She always thought her family didn't want her. What if the truth is even worse? 'Chilling and tragic in equal measure' - Nuala Ellwood, My Sister's Bones****What readers are saying about MY SISTER:'Couldn't put this one down.. absolutely gripping' Goodreads Reviewer, 5 stars'I couldn't get enough of this twisted psychological thriller!